I am Active and Get Involved in the Community! Gedik University has implemented the project of the Active Life Center in collaboration with Pendik Municipality and Pendik District Governorship, istanbul, Turkey. The aim of this project is to develop movement abilities of those with disabilities between the pages of 0 and 24. Within the scope of this project, about 150 children with disabilities have been trained in physical activity settings such as sport skills program, motor activity training program, sensory integration program, Sherborne development movement, baby gymnastics and massage, and multisensory training program. 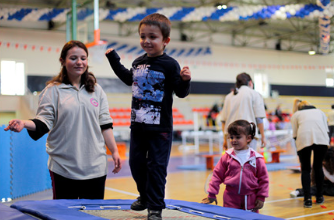 Turkish Development Ministry has provided 300,000 Euros for this project, which is the first modal in Turkey in order to promote physical activity of children with disabilities. Parents are very satisfied with the Active Life Center serving with a team of child development specialists, physical education teachers, nutritionists, and research assistants of Gedik University. 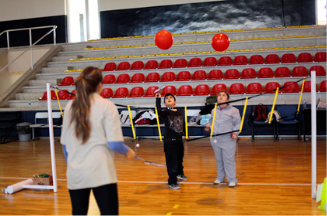 The project has built an activity- and community- based program in which children with disabilities are able to develop their movement abilities and social skills in special schools, inclusive schools, and rehabilitation centers. It is a good example of collaborations among stakeholders such as universities, municipalities, and governorship in Turkey. Duration of the project is 18 months. Gedik University endeavors to promote and keep this project running in Turkey. Next post European Congress of Adapted Physical Activity (EUCAPA) Madrid 2014: Great Success!